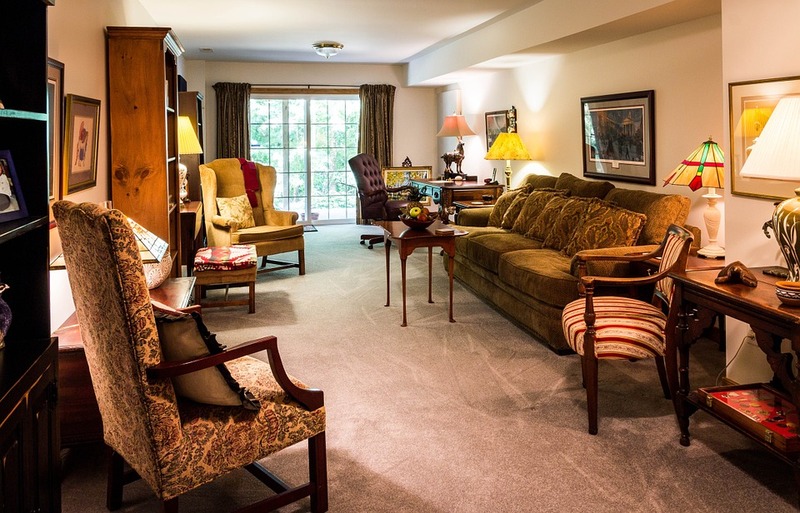 Homeowners typically gravitate towards a common theme, color, and or style when it comes to the overall look and feel of their home. That is until now! Join the fun, spunky and rule-breaking home design trend sweeping homes across Austin, Texas! These eclectic home design trends are sure to bring your boring home decor to life. Check out REALTOR.com's recent home improvement article. The eclectic look is hardly new. Even though it's in the spotlight these days, eclecticism actually came about in the early 1900s, with the Arts and Crafts movement. "It became hip for progressives and thinkers to fit art and furnishings into their homes to achieve a more personal feeling, rather than one particular style," Solomon explains. Sounds familiar, right? Today's homeowners are once again turning to eclectic style to show off a distinctive touch to their decor. Just beware: Eclectic decor might allow you to break some rules, but it isn't a totally lawless design scheme. If this style speaks to you, read on for how to make it work in your home—without veering into tacky territory. Toe with the line between eclectic and "EW"
When it comes to protecting your home from leaks, it is important to be proactive. 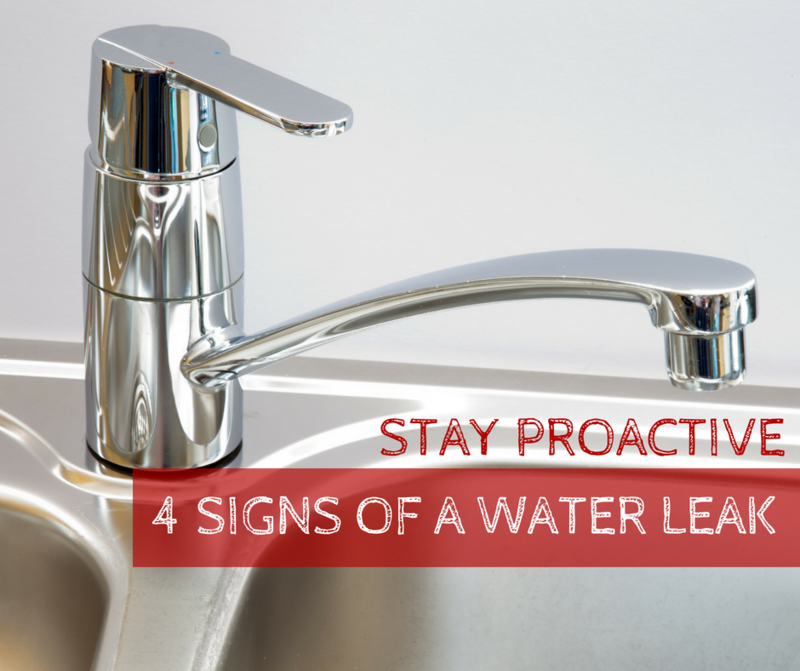 Here are a few signs courtesy of Austin Plumbery that can help you catch a water leak in the early stages. These telltale signs may just save you thousands of dollars. If you notice your water bill increases drastically or a change in pattern this could reflect a possible undetected leak. Compare your bill from year to date, to confirm any irregularities. Sudden and frequent cracks in the foundation can indicate a leaking pipe behind the scenes. Seepage can cause damage and present itself as cracks in your foundation and other structural components such as walls. Another way to check for a home leak, turn off the water of your home, then check the status of the meter. If the water meter is ticking and starts to move quickly, this indicates that you have a rather large leak. If it slowly increases, your leak may be of a smaller impact. If you notice any wet spots on or around sinks, toilets, showers/tubs this may be a sign of leakage. You may also find accumulation in your yard. Beyond the visuals, if you have a persistent damp or musty odor, contact your local plumber. With the turn of a new season comes new ways to protect your homes energy use and efficiency. 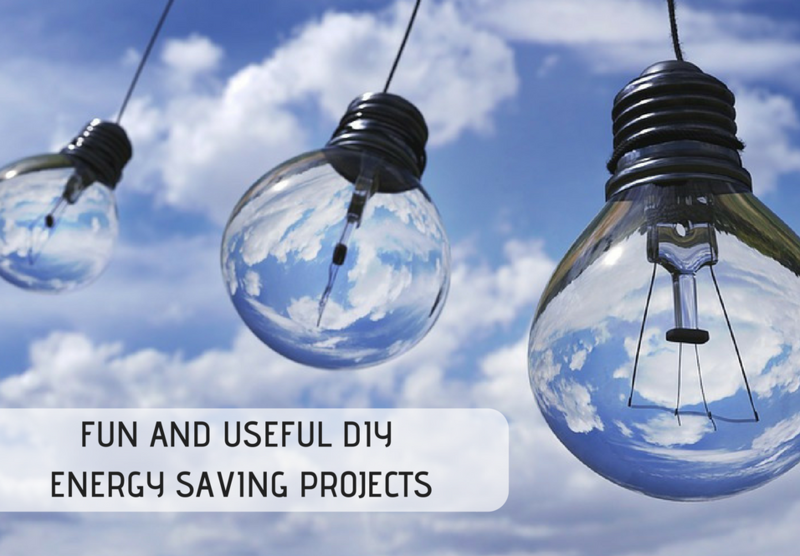 Of course, you could seal air leaks, add a ton of insulation and swap out your energy draining light bulbs for LED bulbs, but we have projects that will not only take that a step further, they are fun too! Laundry dryers account for 6% of the electricity used in the United States each year, according to a group that studies dryer efficiencies. That is roughly the same amount of energy used by the entire state of Massachusetts. Debbie, from ME and my DIY, made an awesome DIY drying system that you can view here. Use Debbie's model and come up with something that works with your space so that you can cut down on that monthly cost. You never know, this may even cut down on the number of shirts you shrink along the way! Depending on the type of film you use and the amount of the covered area, frosted windows can play a key factor in keeping a room cool in the summer and warm in the winter, cut UV exposure so fabrics won't fade, and even strengthen windows for added security. Window film starts at around $1.50 per square foot. Click here to see how Tricia, from the Blog Making it Feel Like Home, used the frosted window technique to save on energy costs! Home improvement doesn't have to be a huge drawn out chose, and it definitely doesn't have to cost you an arm and a leg. You can easily liven up the spaces in your home with a number of small projects here and there that can really make a difference. Here are some basic projects that cost less than $500, and make you feel like you spent a lot more updating your Southwest Austin home! Painting is one of the cheapest and easiest home improvement projects that really make a big difference! A fresh coat of paint can make any space look brand new, give the space a more modern feel, and definitely add value. A gallon of paint costs roughly $25 and is an inexpensive way to improve your home's desirability all on your own. There is no shame in borrowing ideas! You can find all sorts of amazing ideas in books, magazines, interior decorating TV shows, and Pinterest. To stay within your budget, pick projects that can be completed yourself. This will not only save you a few bucks, but it will be that much sweeter knowing you tackled it yourself! Take advantage of your utility company's free energy audits to determine which improvements could potentially save you some extra money. Most local utility companies offer a free home inspection that will show you where exactly your money is going down the drain. 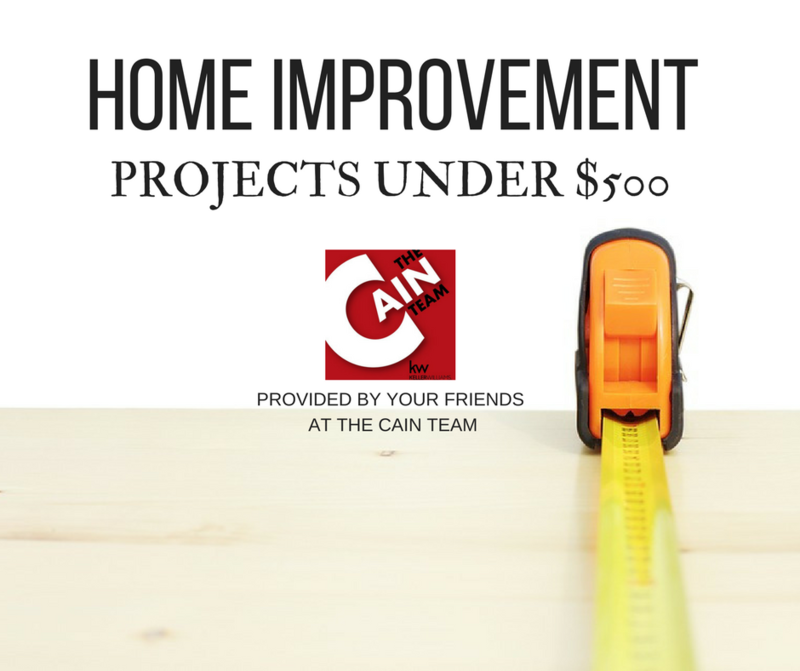 You never know, the money you save could go towards another amazing home improvement! We are almost out of this strange "wintery, spring" part of the transition into beautiful weather and sunny skies! 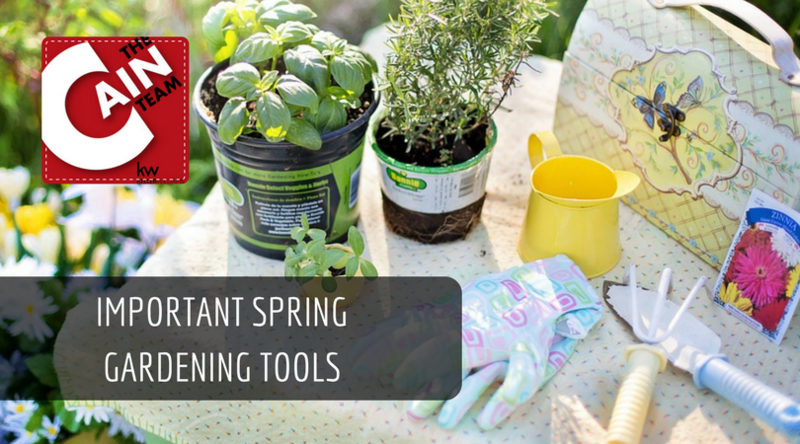 Before long, everyone will be pulling out their gardening tools to get a start on your landscape and outside projects. Gardenoid, did the dirty work for us gathering 34 gardening experts to find out their options on the top must-have tools for sprucing up your garden this fall. Among the most popular tools used by gardeners is a mattock, which is used for clearing the ground, removing stones and digging out deep roots that create blocks. Another favorite of the experts was the idea of composting. Composting is a great way to practice environmental responsibility. The tools needed for composting can be anything from a chipper shredder to a leaf shredder. Washable synthetic gloves – For general maintenance, such as deadheading, weeding in dry soil, and handling seeds, the thin fabric, and snug fit allow fingers maximum dexterity. Heavy-duty leather gloves – For tough jobs, like digging holes, clearing brush, and carrying firewood. We know that choosing paint colors for your home can be a daunting task. There are hundreds of hues and shades to sift through, and what if you regret your decision? It could ruin your home's ambiance and be expensive and/or time-consuming to fix. No pressure, right? Here's some advice from the pros on how to choose paint colors for your home that you won't regret! Light colors make spaces feel bigger and brighter. Dark or intense colors make spaces seem smaller—however, these colors do have their place and purpose in a home. Another consideration with your paint is whether it exudes "warm" or "cool" undertones. This can severely impact the overall 'mood' of the room and could give off some heavily unwanted vibes that could upset your rooms energy. Make sure you are taking the type of room into consideration when choosing your potential colors Certain types of rooms tend to look better one way or the other. "Bathrooms tend to look better with cool colors, both because of the connotation of water as cool and the color in nature is blue or blue-green, says Amy Bly of Great Impressions Home Staging/Interiors. 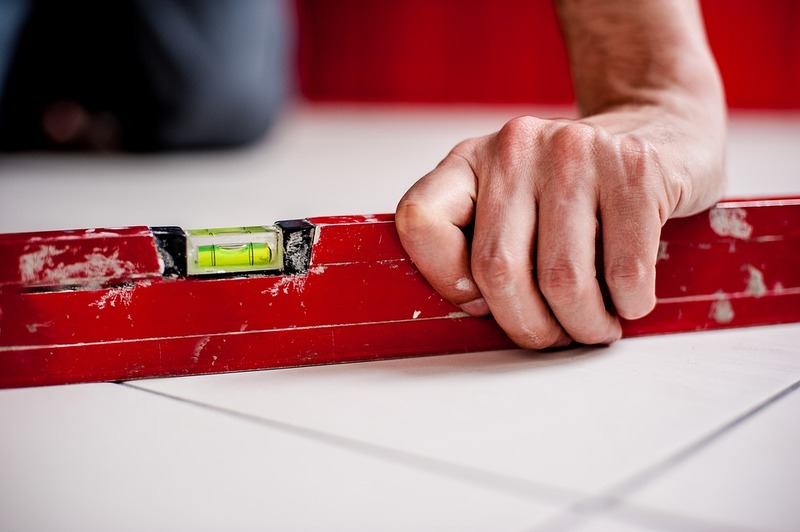 Home Improvement: Are Permits ALWAYS Necessary? The image featured above is a compilation of Kara Nuzback and Angie Calderon as featured in a recently-published Community Impact article. The useful graphic aims to inform readers that home improvement work may require approval from local authorities. 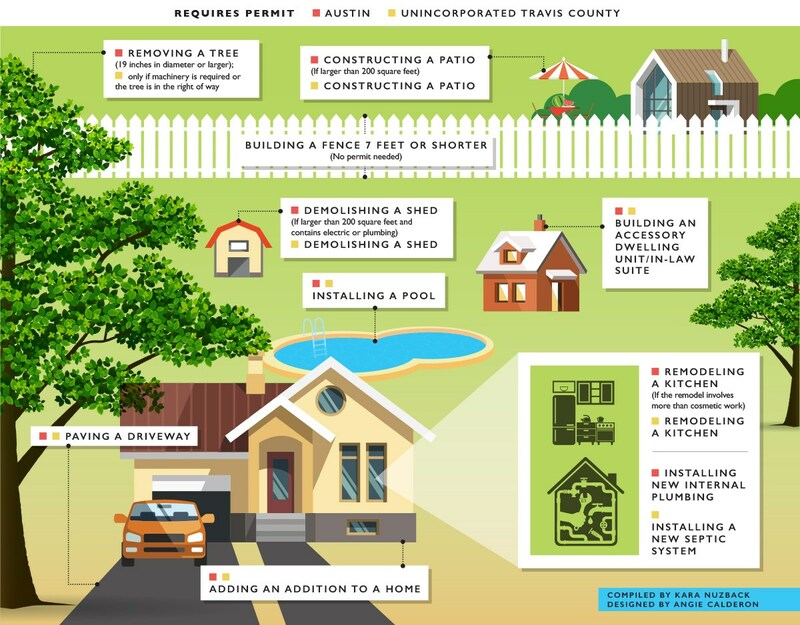 According to the Austin Development Services Department, a building permit is needed to “erect, construct, enlarge, alter, repair, improve, remove, convert, move or demolish any building or structure within Austin’s zoning jurisdiction." For electrical, plumbing, or irrigation work, a trade permit may be required.